Alert the butlers, it’s time to crack open another bottle of cocaine wine as the Bellacourts have reason to celebrate! Comedy Central has renewed the turn-of-the-century historical and satirical scripted series “Another Period” for a second season, it was announced today by Kent Alterman, President, Original Programming, Comedy Central. 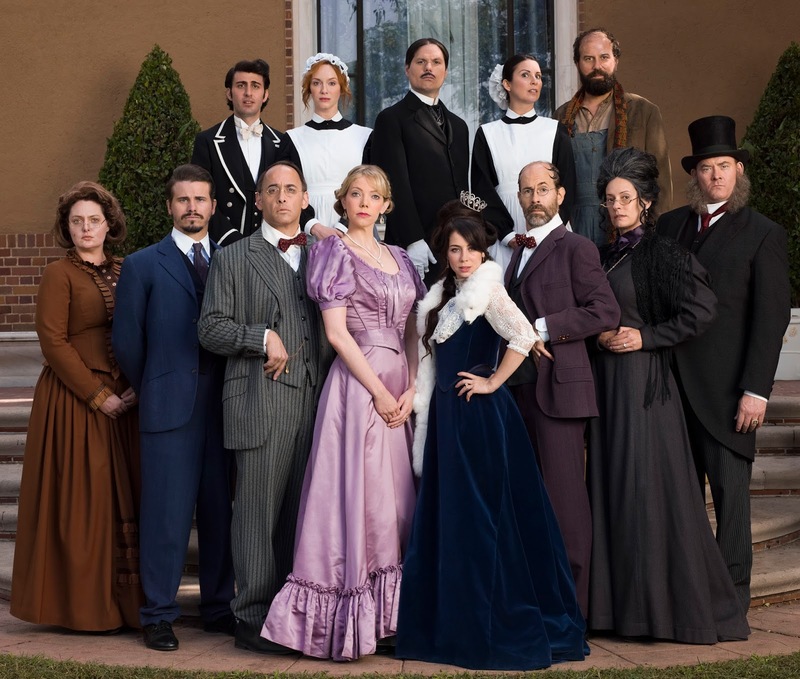 Executive produced by co-stars Natasha Leggero and Riki Lindhome, director Jeremy Konner and Red Hour’s Ben Stiller, Debbie Liebling, Stuart Cornfeld and Mike Rosenstein, the second season of “Another Period” will premiere ten episodes in 2016. “Another Period” is written by, executive produced by and stars Natasha Leggero and Riki Lindhome, is executive produced and directed by Jeremy Konner (“Drunk History”) and executive produced by Red Hour’s Ben Stiller, Debbie Liebling, Stuart Cornfeld and Mike Rosenstein. Monika Zielinska and Tara Schuster are the Executives in Charge of Production for Comedy Central. Lauren Ash, Michael Ian Black, Paget Brewster, Beth Dover, Brett Gelman, Christina Hendricks,Brian Huskey, David Koechner, Jason Ritter, David Wain and Armen Weitzman appear alongside Leggero and Lindhome. Guest stars for the series’ first season included MattBesser, Jack Black, Jon Daly, John Ennis, Kate Flannery, Rich Fulcher, Tim Heidecker, Moshe Kasher, Lauren Lapkus, Thomas Lennon, Kate Micucci, Chris Parnell, Lou Diamond Phillips, Missi Pyle, Will Sasso, Betsy Sodaro, Shoshannah Stern, Ben Stiller, Stephen Tobolowsky and Brian White. Do you watch? Share your thoughts in the comments.